A cupola is the perfect way to add a sense of decorative whimsy and charm to your barn, garage, gazebo, or shed. 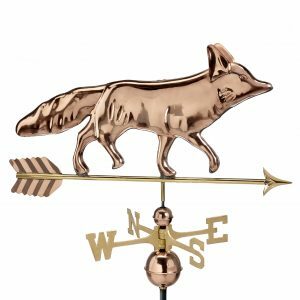 At Cupolas N’ More, we offer the finest vinyl cupolas, copper cupolas, and weathervanes for accenting just about any building. Our line of products includes high-quality offerings in a variety of styles to match your taste. 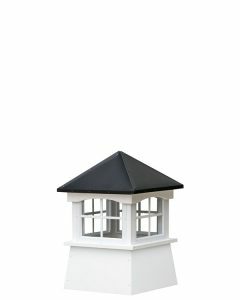 All of our cupolas are manufactured for easy installation with any of our weathervanes. For more information on the perfect fit for your facility, check out our handy guide to help you choose a barn, vinyl, or copper cupola! With the variety of barn cupolas, gazebo cupolas, and more on the market, you’ll have plenty of options to consider when making a purchase. 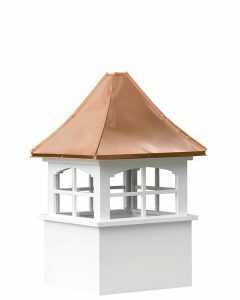 Our cupolas come in square or hexagon styles, with louvers or windows, and may be made of either vinyl or wood. 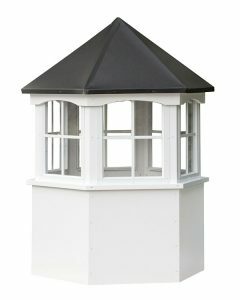 We categorize cupola size based on three categories: 20 to 30 inches high, 33 to 70 inches high, and up to 85 inches high. Cupolas from Cupolas N’ More are built to last, with materials to choose from that provide the perfect match for the type of building or structure that the cupola will adorn. Vinyl cupolas are durable, cost-effective, and practically maintenance-free. This is the perfect option for vinyl-sided barns, sheds, gazebos, or garages. For people that prefer a rustic, natural look, wood cupolas may be the best choice. 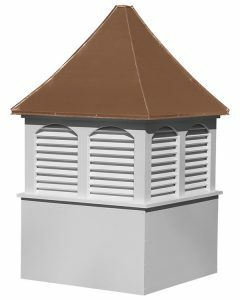 Our wooden cupolas can be painted or stained to match the look of the structure they top. 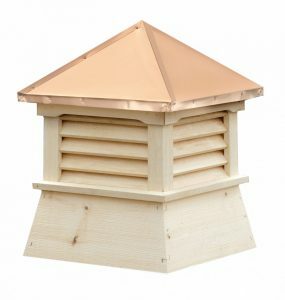 Copper-roofed cupolas offer your shed, barn, gazebo, or garage a bit of class and sophistication. Whether you prefer your copper to shine, or would like us to apply an attractive patina, we can keep your copper roof looking just as you love it, year after year. Dress up your garage or cabin with an attractive cupola treat to match the color of the building. Enhance your shed, barn, and gazebo. Consider improving your home’s curbside appeal with a cupola and a beautiful copper weathervane. No matter the size, shape, or location of a structure, a cupola can serve as an eye-catching addition! We’re certain you’ll love the quality, design, and style of your Cupolas n’ More product.